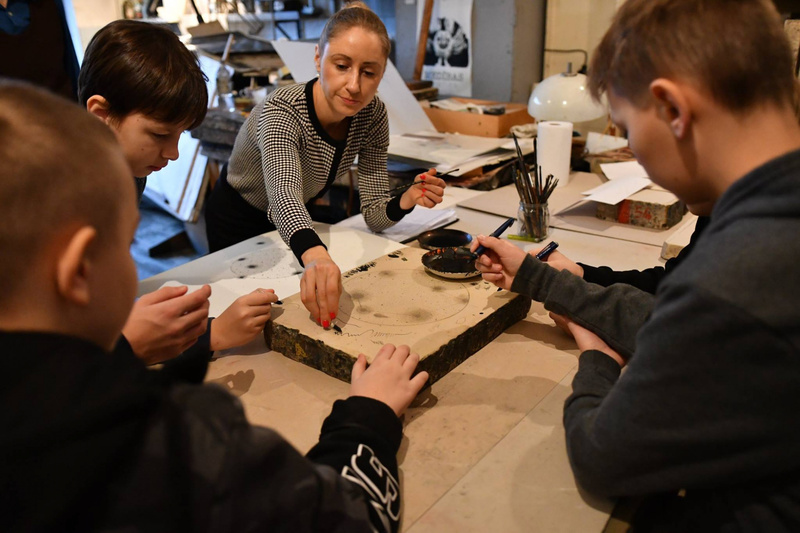 On Friday, November 16, a small group of our students, led by teacher and artist Zane Balode, traveled to a local lithography studio to find out more about this fascinating process. Every student in attendance was hand-picked from among their peers due to their excellent work in a recent competition for charity, which featured artistic interpretations of Antoine de Saint-Exupéry's famous Little Prince. Their drawings, which were printed and reproduced at the studio, are set to be sold at an upcoming event. All of the proceeds will go to a local social center known for working with psychologically and socially handicapped young adults.